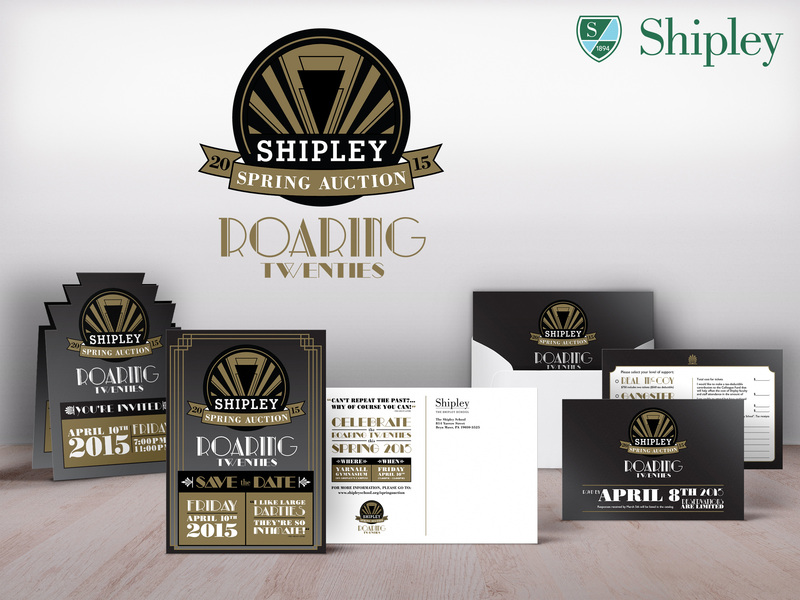 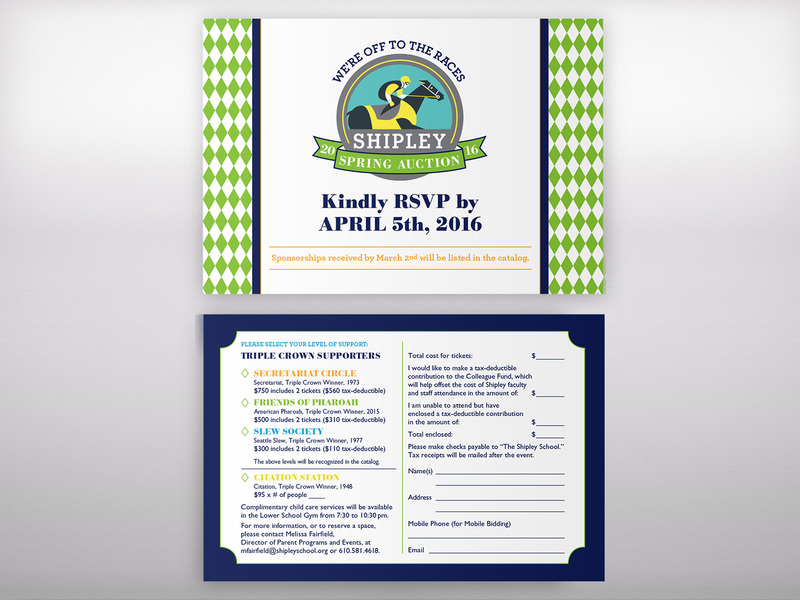 Create a logo, identity system, and announcement materials that embody a committee-selected theme. 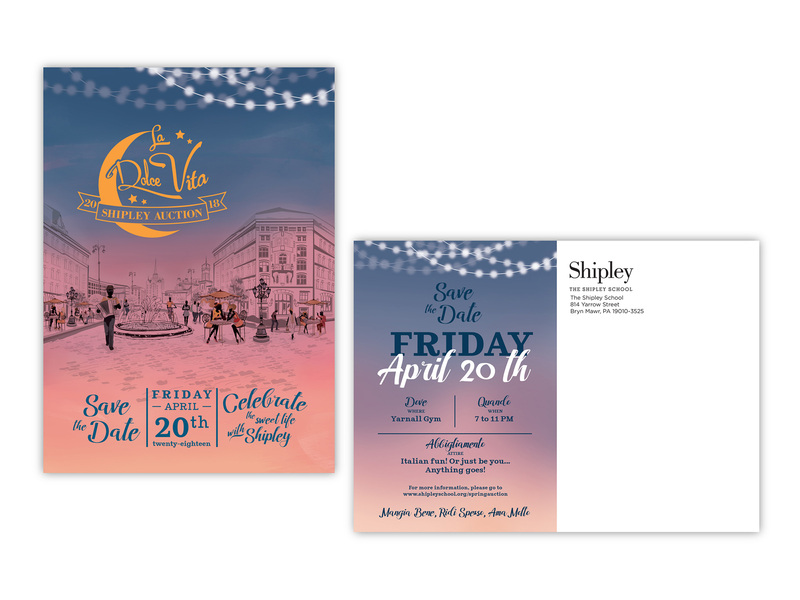 The look created in these deliverables will become the visual standard in which the supporting elements of the event surround. 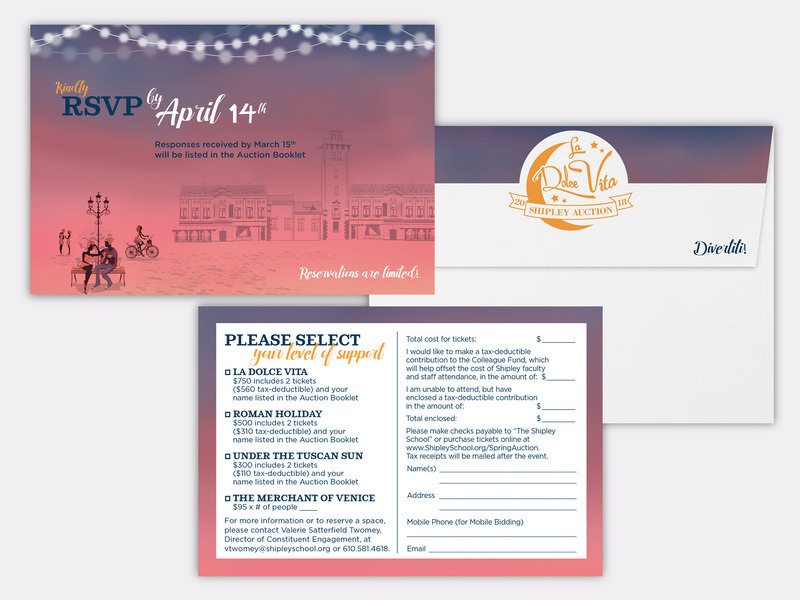 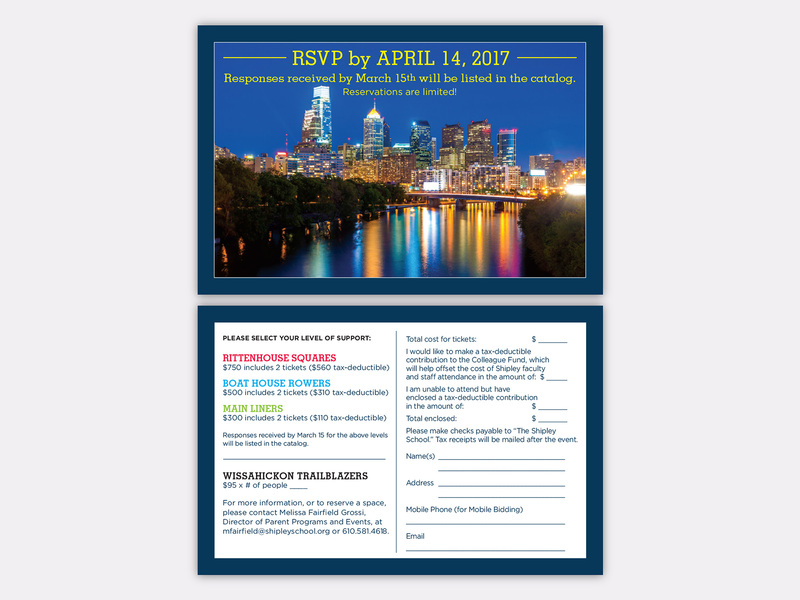 The beautiful Italian twilight sky was the inspiration for this watercolor themed invitation package. 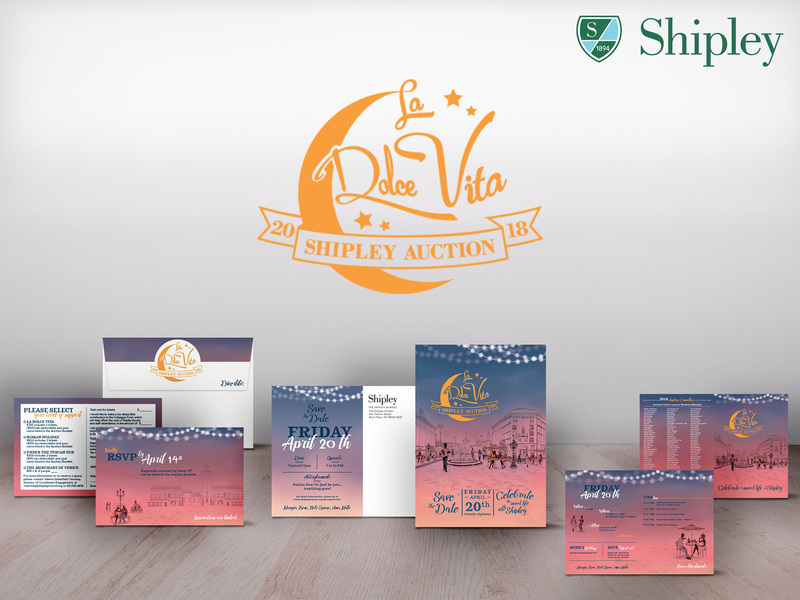 A retro illustration depicting an active Italian town square framed the event details and added interest. 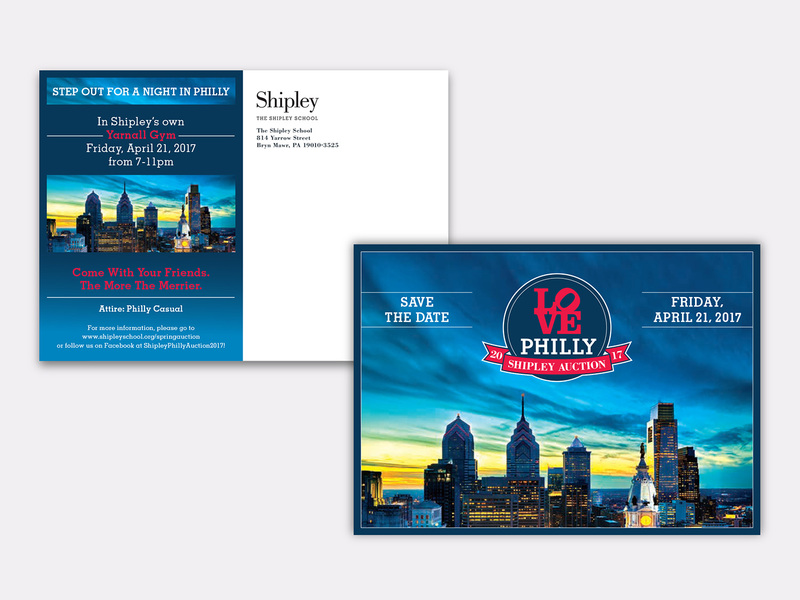 The striking Philadelphia skyline at dusk sets the stage for a Philly-centric event. 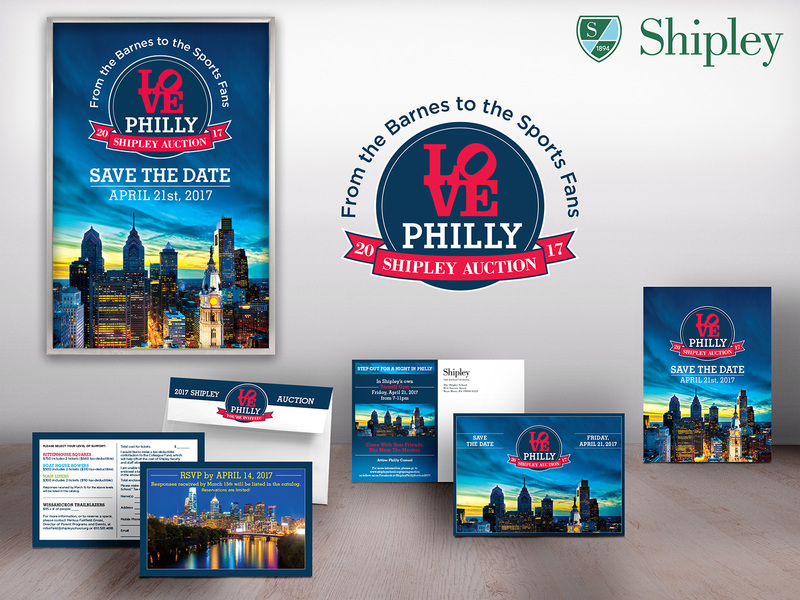 Blues and reds invoke the Philadelphia sports scene, and the iconic LOVE statue used as the event logo set the stage for a fun night celebrating all things Philly. 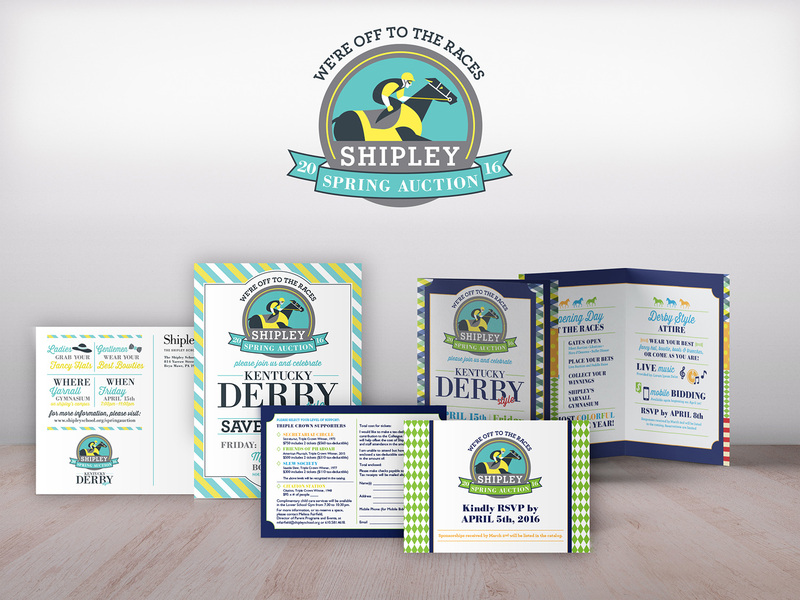 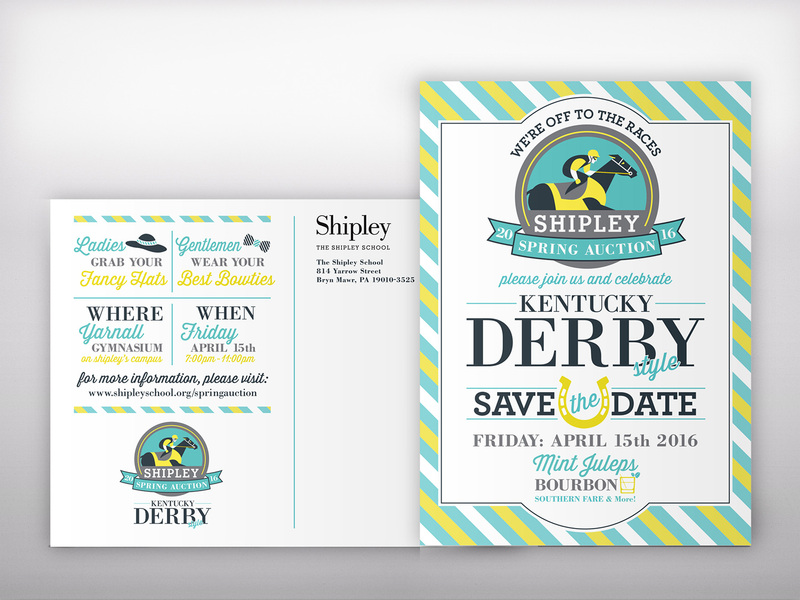 Centered around the vibrance of jockey race outfits, spring-colored patterns create the identity system of this Derby-themed event. 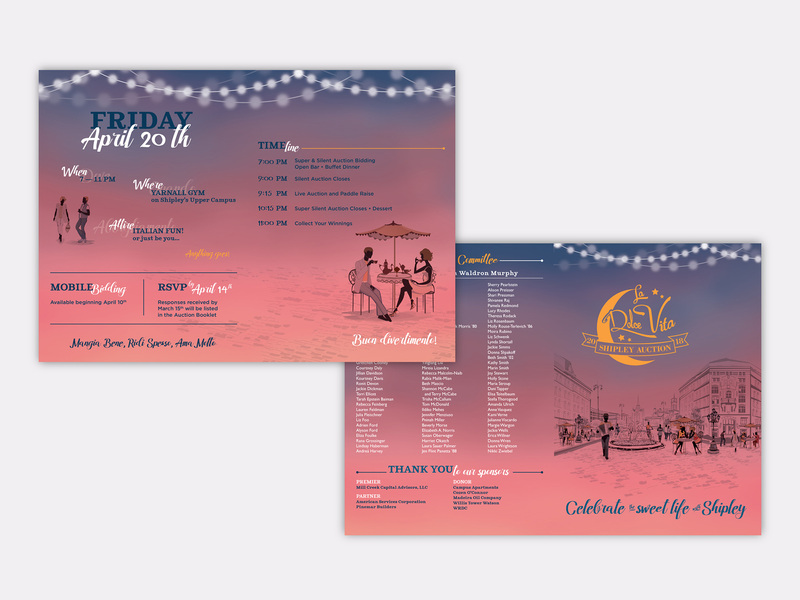 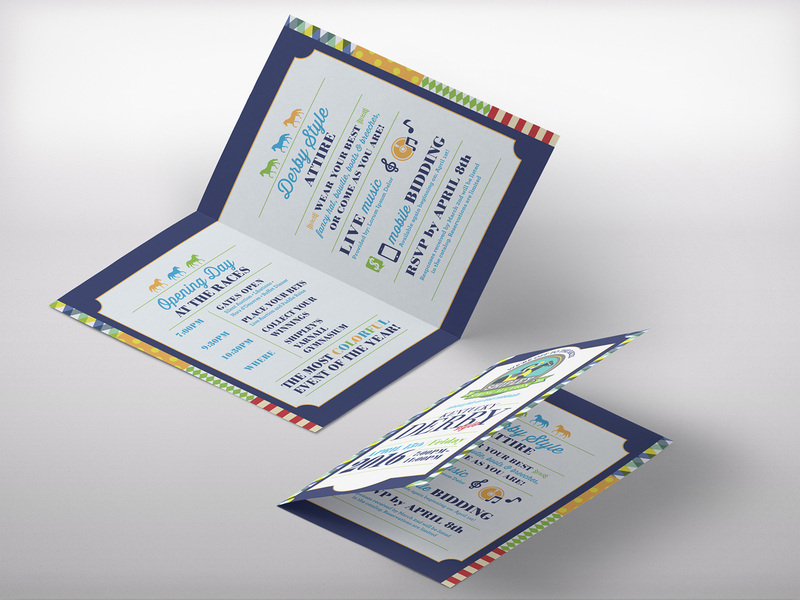 As bold as they are, when used minimally behind simple borders, important event information is allowed to come forward throughout the campaign. 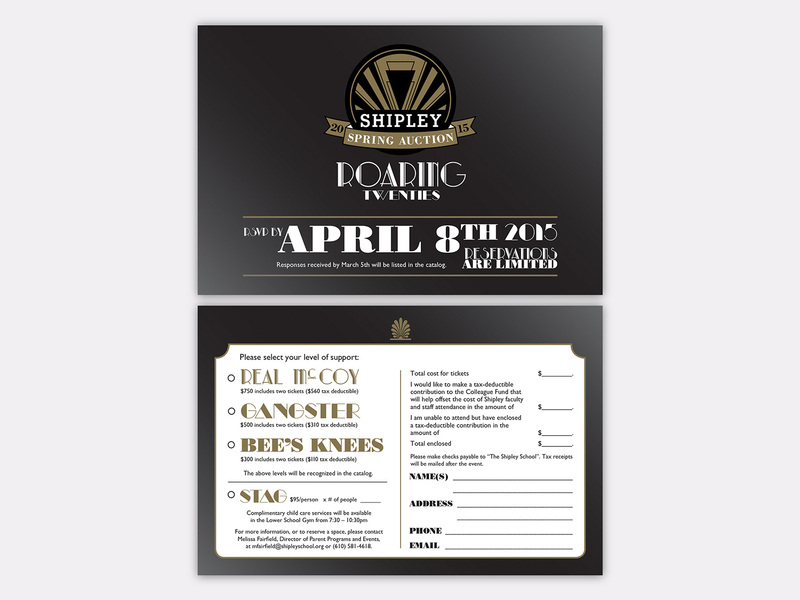 Roaring 20s: A nod to art deco’s use of ornate geometric patterns, wealth and opulence, our approach was to modify line work and color choice with the use of just two colors. 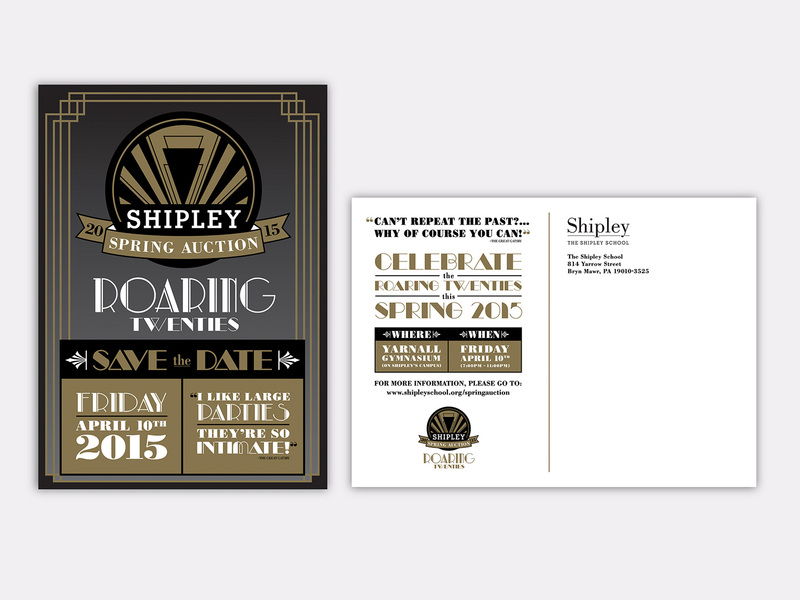 Black, spot metallic and a dieline that mimicked the line work provided an air of sophistication and set the tone for the event.